Just how important are effective care transitions to ensuring patient safety and avoiding adverse outcomes? Even an answer of "very important" might be selling them short. An analysis of 23,000 medical malpractice claims filed from 2009–2013 by CRICO Strategies, a research division of the company that insures Harvard-affiliated hospitals, found that about 30% cited communication as a factor, with 37% of all high-severity injury cases involving a communication failure. More than 57% of cases in the analysis indicate miscommunication between two or more providers. In addition, The Joint Commission, in a report on transitions of care, references a study which estimates that 80% of serious medical errors involve miscommunication during hand-offs between medical providers. With so much at stake, decisions concerning care transition processes and technology investments made to support those processes must be driven by data, not anecdotes. Chief medical information officers (CMIOs) are increasingly playing a greater role in these decisions. As a Healthcare It News report notes, CMIOs are "typically tasked with leading the strategic positioning, implementation, and support of clinical systems." And as a Health Data Management article notes, "A strong, visionary CMIO can be the difference between a health system investing millions of dollars in a data warehouse that provides a few useful quality reports and one with real actionable information to move the needle of clinical care and precision medicine forward." CMIOs tasked with helping improve care transitions must have access to data on the performance of their organization in areas directly and indirectly relating to transitions. Here are four such statistics. Many factors can contribute or directly lead to a patient's readmission. And as one study showed, some of these factors are preventable. "Preventability and Causes of Readmissions in a National Cohort of General Medicine Patients," published in JAMA Internal Medicine, examined 1,000 general medicine patients readmitted within 30 days of discharge to 12 U.S. academic medical centers between April 2012 and March 2013. Of these 1,000 readmissions, 269 were potentially preventable. An analysis of the study by the Center for Medicare Advocacy stated that more than half of these readmissions were determined to be potentially preventable because of "gaps in care during the initial inpatient stay." With access to data on readmissions, CMIOs can help their organizations determine whether such gaps exist and then work to eliminate them. One of the most common causes of medication mishaps is poor communication, according to the U.S. Food & Drug Administration. In fact, more than 40% of medication errors are believed to result from inadequate reconciliation in handoffs during admission, transfer, and discharge of patients, according to "Patient Safety and Quality: An Evidence-Based Handbook for Nurses." 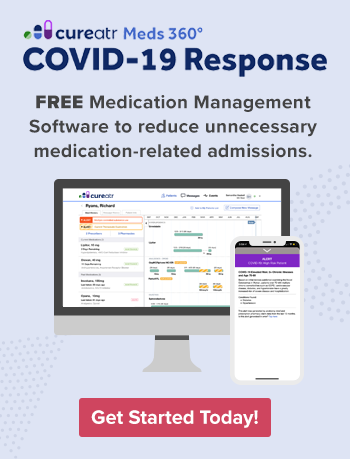 CMIOs with access to data on their organization's medication errors can assess whether breakdowns in the medication reconciliation process are a contributing factor. If so, CMIOs can then work to determine whether improvements are most effectively achievable through reviewing and revising processes and/or investments in staff training and resources, such as technology. Patient falls are still too common in health care organizations. An Agency for Healthcare Research and Quality (AHRQ) report notes, "Falls are the second most common adverse event within health care institutions following medication errors, with inpatient fall rates ranging from 5.09 to 6.64 per 1,000 patient days across the nation." This is particularly alarming when you read the following from AHRQ: "Falls often lead to devastating consequences; in fact, they represent the leading cause of injury-related death in those 65 and older. Hospital-based falls can be particularly problematic, with an estimated 30 percent resulting in serious injury." Each year, somewhere between 700,000 and 1 million people in the United States fall in the hospital. Insight into the frequency of patients falls, where they are occurring within an organization, and their cause can help a CMIO research steps to help reduce these figures and better ensure patients safely transition from one stage of their treatment to the next. If CMIOs truly want to positively impact care transitions, they'll take a deep dive into their organization's data on patient discharge. As the aptly titled Healthcare IT News report "Hospital discharge: One of the most dangerous transitions for patients," notes, "The sheer number and variety of providers that patients see after leaving a hospital make medical mistakes and poor transitions in care all too common today." Later in the report, there's this insight: "… federal data show that fewer than half of patients say they confidently understood the instructions of how to care for themselves after discharge." CMIOs may want to take a close look at their organization's metrics tied to patient education. But that's not the only matter related to discharge where analysis would likely prove worthwhile. 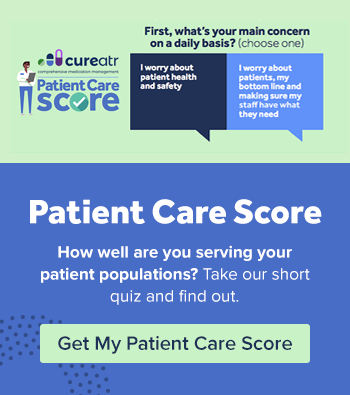 An AHRQ Patient Safety Primer report states the following: "… nearly 40% of patients are discharged with test results pending, and a comparable proportion are discharged with a plan to complete the diagnostic workup as an outpatient, placing patients at risk unless timely and complete follow-up is ensured." Here we see two more areas concerning discharge — pending test results and incomplete diagnostic workup — where access and analysis of related data by a CMIO may represent the initial steps toward implementing targeted, and potentially long-term, improvement measures.